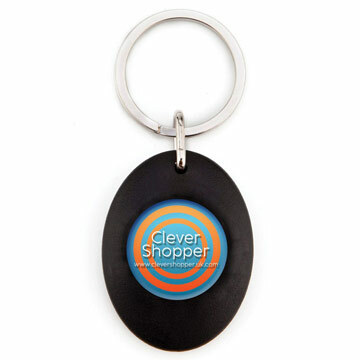 One of our bestselling promotional keyrings thanks to its fantastic design and functionality. Now available in more great colours! Tactile rubberized finish with a digitally printed insert to the front for your logo and a magnet to the reverse to keep the metal trolley coin in place.